Musk: "There's such momentum behind electric vehicles, and Model S is going to ensure that that happens." FREMONT, Calif. (Bloomberg) -- Tesla Motors CEO Elon Musk said a victory by Republican Mitt Romney in this year's U.S. presidential election would have only a "minor impact" on the nation's electric-car market. Tesla delivered its first Model S sedans to retail customers on June 22 at a ceremony at the company's Fremont plant marking the start of production. Tesla opened the factory with a low-interest loan obtained in 2009 under a federal program Romney often criticizes in campaign speeches. "Romney would have a minor impact," Musk told reporters in Fremont. "There's such momentum behind electric vehicles, and Model S is going to ensure that that happens." Musk wants to turn California-based Tesla into the first profitable, high-volume seller of cars powered solely by batteries. Model S prices range from $57,400 to $105,400, before a $7,500 federal tax credit. Tesla is targeting Model S deliveries of at least 5,000 this year and 20,000 in 2013. Romney has cited companies such as Tesla and Fisker Automotive Inc., which also got a federal loan to develop its plug-in Karma luxury sedan, and products such as General Motors Co.'s Volt plug-in car as examples of poor policy decisions by President Barack Obama's administration. 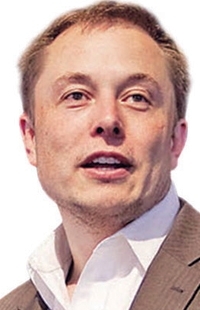 In a March 19 speech at the University of Chicago, Romney called both Tesla and Fisker examples of "crony capitalism." Musk said he's not sure that Romney is "really against" electric vehicles, while the Republican candidate "may not be as for them as, say, President Obama is."